The Education Department has released the agenda and minutes from the first meeting, but Education Minister Zach Churchill said opening those meetings to the public could put undue pressure on the appointed council. 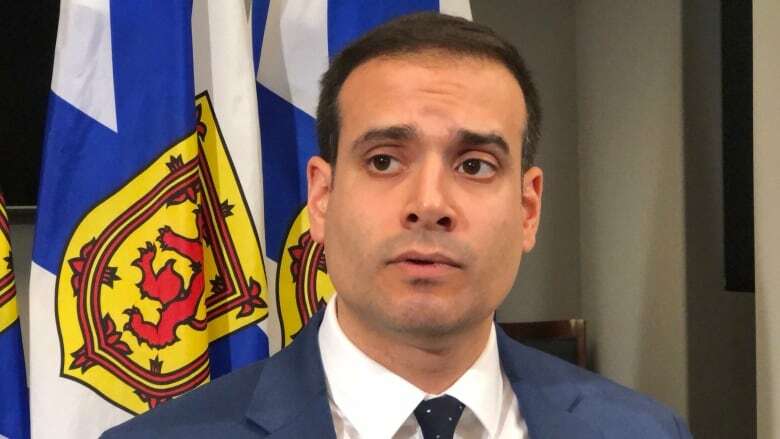 Nova Scotia Education Minister Zach Churchill is willing to shed some light on the inner workings of the advisory council he created after eliminating regional school boards, but said Thursday their meetings will remain behind closed doors. While he left open the possibility of changing his mind "at some point in the future," Churchill suggested opening those meetings to the public might place undue pressure on the 15-member council that could be counterproductive. "This is not a new school board, it's not a super school board, so these are not folks that are acting in a public capacity, they're private citizens, and so we want them to be able to do that in a way that's objective and only responsive to the evidence that they're looking at," he told reporters following a cabinet meeting in Halifax. He said public scrutiny could impact frank discussion "in a way that is counter to our intention to have that group solely focused on consumption of evidence and advice as a result of that." Just hours after his conversation with reporters, Churchill's department posted the agenda and minutes from the first-ever meeting of the Provincial Advisory Council on Education, on Nov. 4 and 5. Although the minister had previously said the group would discuss pressing issues related to busing, according to the minutes of Day 2 of the gathering the council "deferred this issue to a future meeting." There was no indication why. Most of the discussion during the two-day meeting seemed to have centred on the role of the council and developing its terms of reference. A transition team named by the minister had previously developed a report designed to guide the council. That report included things such as "foundational principles," code of ethics and conduct, communications and evaluation. The minutes note: "The department generally accepted the objectives and principles running throughout it, however some recommendations need to be adjusted because they are not in line with existing legislation or the form and function of other advisory councils." The minutes said the advisory group would "continue working on the terms of reference, based on the advice of the transition team report." Churchill told reporters posting the agenda and minutes was as far as he was willing to go at the moment to open up the inner workings of the group. "Having the agenda made available to the public, having minutes available to the public. The fact this is not a decision-making group. It's a group of private citizens giving advice. I think considering all those factors I think we're approaching this is the right way at this time." PC Leader Tim Houston disagreed. "Those meetings should be open to the public," said Houston. "Education matters are hugely in the public interest and I can't fully understand why the minister just won't open them to the public." It was a view shared by NDP Leader Gary Burrill. "At a minimum those meetings should be open and people should be able to know what's going on there," he said. "Because we live in a democracy."